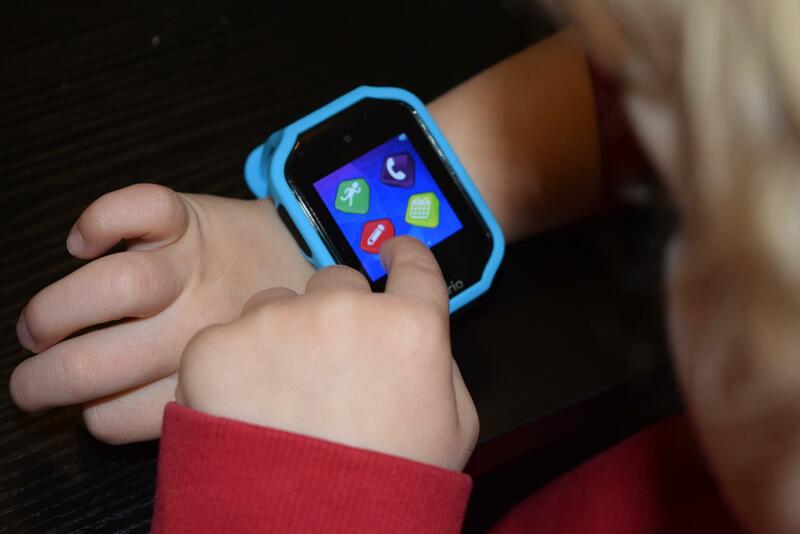 I have heard about kids smart watches before, but it’s never something we have really looked into for the children – I’m not sure why! 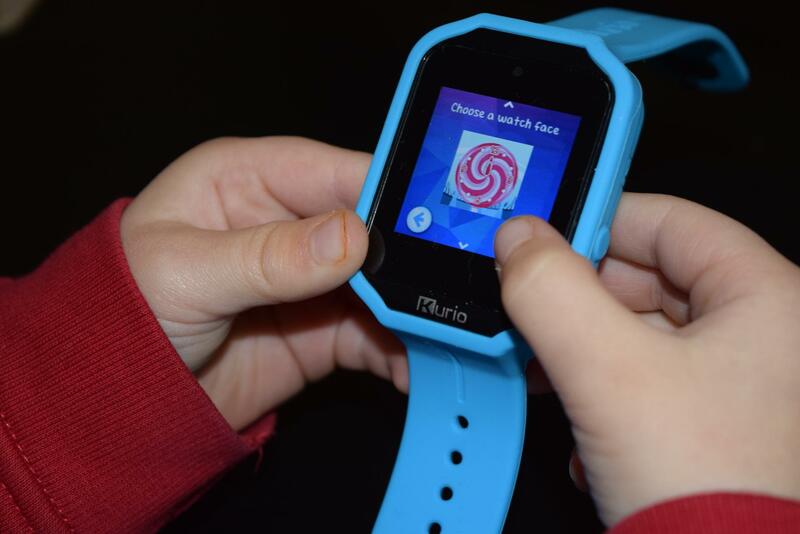 Max and Jacob were sent the Kurio 2.0 smart watch, and it has definitely changed my perception of smart watches – they are so much more than just mobile game devices! 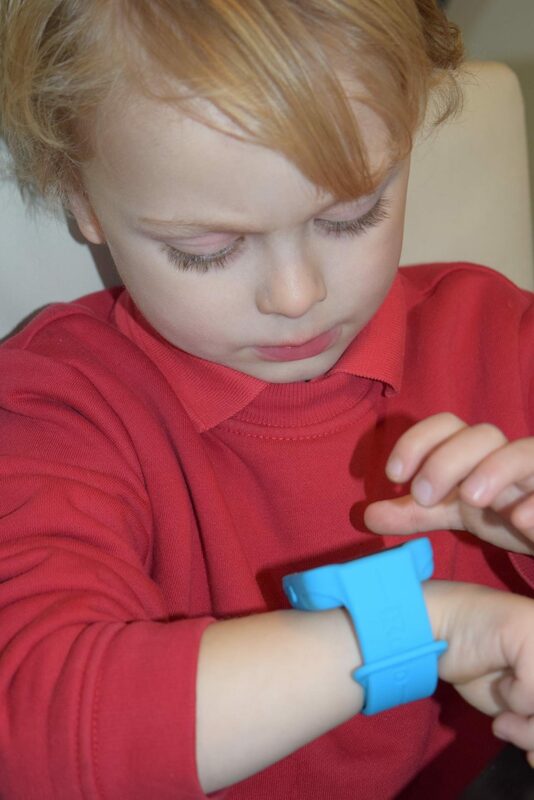 The Kurio 2.0 is aimed at children aged 6 and over – although Max, at 4 and a half, managed to get to grips with it pretty quickly. It’s easy to set up, walking you through the steps to get you going. It does need charging up before first use (useful to know if this is a present), and comes with a charging lead which will fit standard USB plugs. Once charged and set up, you can choose your strap. 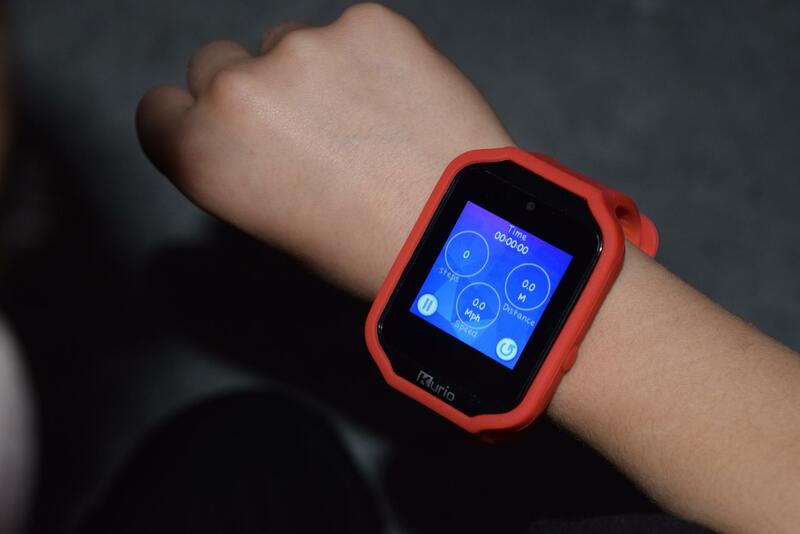 The Kurio 2.0 comes with 2 interchangeable straps – we had blue and red. The blue is the standard option, but the red is colour changing. When it comes into contact with anything warm, such as your skin, it turns orange. This really appealed to both my boys, and the red strap has definitely been the most popular for this reason! The watch is pre-loaded with heaps of activities; camera, video, photo filters, bluetooth messaging and calls, activity tracker, drawing, games and more. The games were an instant hit – there are some great, child friendly classics on there such as Snake and Battleships as well as a drawing/art pad. The icons on the watch face are simple to understand and navigate to where you want to be, using a swipe action. You can customise the Kurio 2.0 to suit you, choosing the watch face, theme and colour in much the same way as you would with a phone. 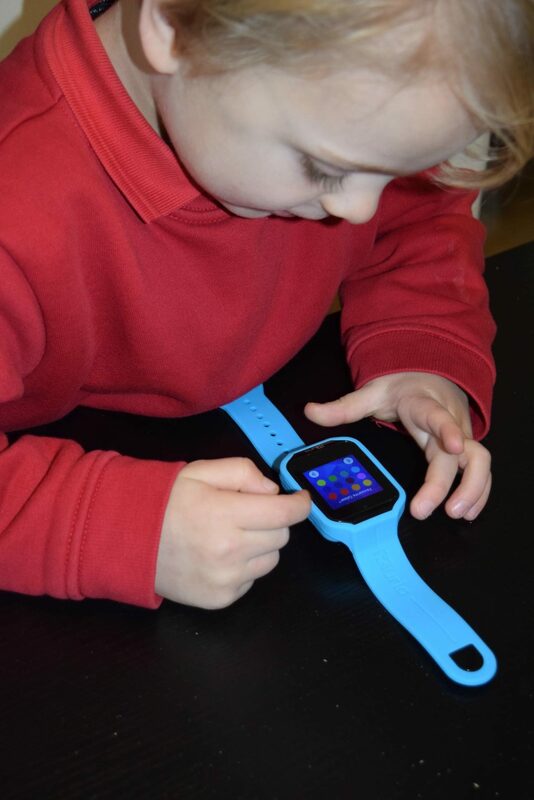 The wallpaper can be changed to pre-set designs or a photo, and there are areas where you can add in emergency contact details in case the watch (or the child it was attached to!) got lost. Max really enjoys the games and drawing capabilities, as well as the clock face which is encouraging him to learn the time. Jacob is a little older, so the bluetooth messaging function really interested him. The watch only works with android devices, and uses a free Kurio Watch messaging app from the Google Play store – or you can pair it with another Kurio watch. This allows you to message and call other people, as well as accessing 2 player games. There is also a pre-installed music app on the watch, which Jacob loved. It comes with a few basic tunes, but you can easily upload some more by connecting it your computer with the USB cable. This makes it a great item to have with you on the go , providing many forms of entertainment in situations where children might otherwise get bored! Overall, we really rate the Kurio Watch 2.0. It offers many of the smart watch features I expected, as well as many extras that I hadn’t even considered. 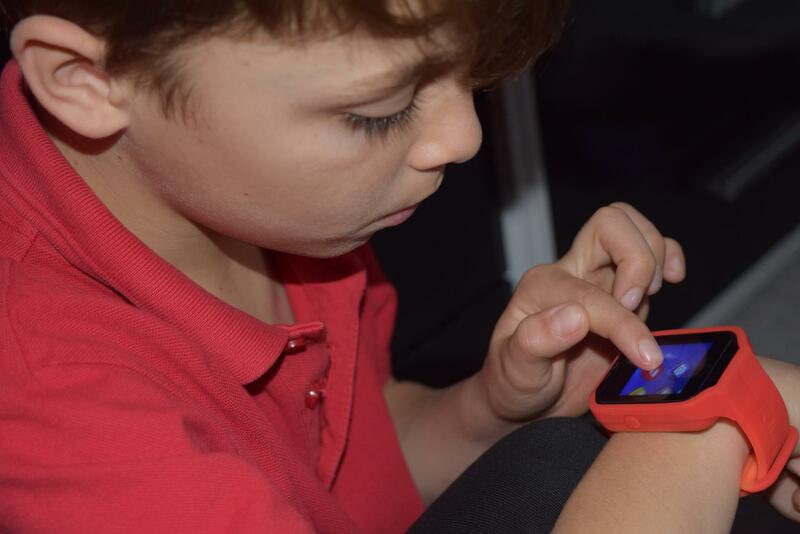 I love how portable it is, making it much easier to use than a tablet or phone when out and about, and it is much easier to monitor what your child is accessing as all the apps and games are pre-installed. A great Christmas gift idea, and reasonably priced too! These look fab! A great idea for keeping little one’s amused when something bigger isn’t appropriate. This would make a great Christmas present. Kim Carberry recently posted…Christmas Crisps from Tesco…. This looks nice and easy for little fingers – love that there’s music too. That looks really good, I think my daughter would love it. I want to give her her own device at some point, but I’m worried about giving her a tablet as she doesn’t know when to switch off. This might be a great thing to try instead. The colour changing strap is pretty cool too. Crummy Mummy recently posted…Win a Tree2mydoor tabletop Christmas tree!